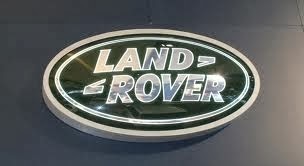 LAND ROVER DEFENDER SEATS DRIVERS AND PASSENGER SEATSHERE WE HAVE FOR SALE A VERY NICE PAIR OF DEFENDER SEATS FOR SALE. AS YOU CAN SEE WE ARE SELLING A PAIR OF FRONT SEATS. 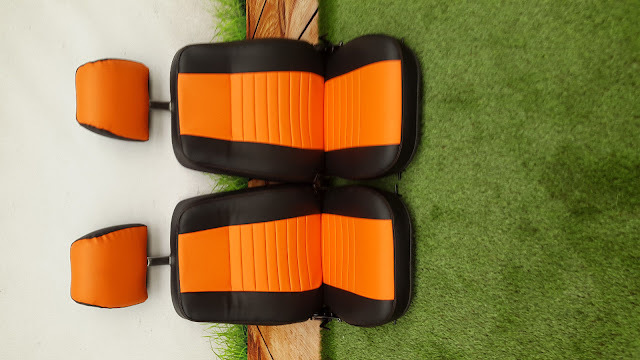 AS YOU CAN SEE WE HAVE MADE THESE GREAT LOOKING SEATS WITH OUR BLACK VINYL AND A NICE BRIGHT ORANGE IN OUR CENTER PANEL WITH OUR LINE STITCH PATTERN. THESE SEATS ARE MADE OUT OF VINYL SO EASY TO CLEAN, ALL OUR SEATS HAVE BEEN REFURBISHED TO HIGH STANDARD. ALL FRAMES HAVE BEEN SANDED DOWN AND RE PAINTED, ALL THE FOAM IS BRAND NEW ALL SEAT COVERS ARE ALL CUSTOM MADE FOR EACH SEAT. PLEASE NOTE THESE SEATS ARE NOT IN STOCK ALL SEATS ARE CUSTOM MADE. WE AIM TO GET YOUR REPLACEMENT SEATS OUT TO YOU WITHIN 10 DAYS OF ORDER. WE ARE HAPPY TO CUSTOM YOUR SEATS TO YOUR REQUIREMENTS WITH COLORS AND WITH THE STITCHING OF THE SEATS. PLEASE FEEL FREE TO E/MAIL US FOR ANY INFORMATION YOU MAY REQUIRE.